Released all the way back in March of this year, the GTX 1080 Ti has become the common choice for avid gamers. It isn’t difficult to see why this GPU has fast become a firm favourite, the sheer horsepower is undeniable and certainly in the high-end arena, there is nothing from AMD which comes remotely close to NVIDIA’s 16nm powerhouse. While it might be late to the party, the graphics card we’ll be analysing today seeks to drive down noise and temperatures. 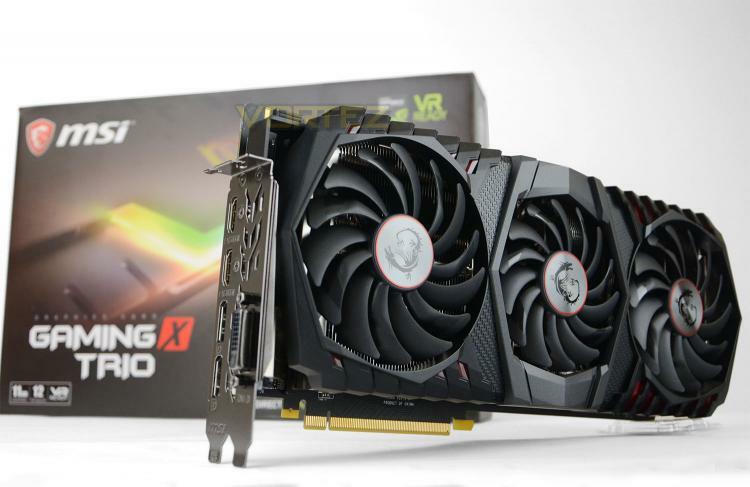 In the spotlight today is the MSI GTX 1080 Ti GAMING X TRIO; a flagship graphics card boasting triple fan cooling via the Tri-Frozr thermal solution. MSI has also armed this offering with three factory overclock profiles – Silent Mode, Gaming Mode and OC Mode. Will this late arrival be able to gain much traction? Let’s find out!